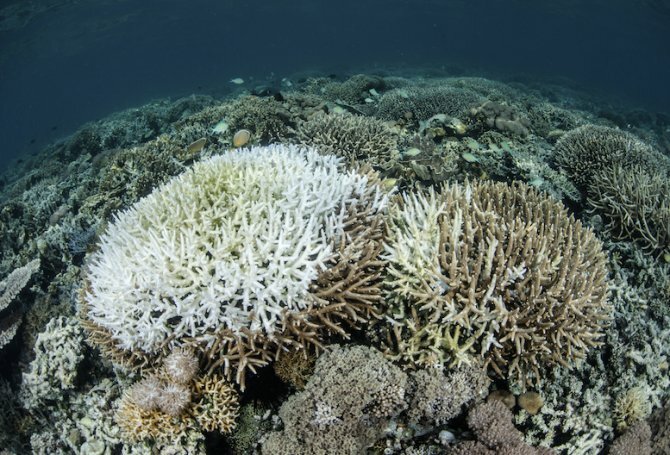 Some corals can acquire new types of algae from their environment after bleaching, which may make the coral more heat-tolerant and enhance their recovery. Most corals were previously believed to only acquire microalgae in their juvenile stage, and to house the same algae types for their lifetime. “Our study shows for the first time that some adult corals can be promiscuous, and swap their algal partners later in life, says Nadine Boulotte, a Southern Cross University postgraduate student, who led the research. The team used new DNA sequencing techniques to analyse thousands of algal symbionts from corals in the beautiful subtropical reef at Lord Howe Island during and after the coral bleaching events of 2010 and 2011. "We monitored the diversity and dominance patterns of the symbiotic microalgae present in polyp tissues of two coral species and found an extraordinary range of different types of microalgae present in the corals,” said Ms Boulotte. The research included scientists from SCU’s Marine Ecology Research Centre, the University of Melbourne, the Australian Institute of Marine Science (AIMS) and the University of Hawaii.